Germanium Fuzz Lovers, rejoice! Black Cat Pedals is now offering a Germanium version of the popular Black Cat OD-Fuzz. Responding to many customer requests for an OD-Fuzz with Germanium transistors, Black Cat is now offering the Black Cat OD-Fuzz with the Germanium transistor option as a $15 upgrade. The Black Cat Germanium OD-Fuzz is essentially the same as a standard Black Cat OD-Fuzz, except the Fuzz Face side uses two NOS 1960s metal can RCA Germanium transistors. It cleans up well when you roll back the volume on the guitar, and does everything that people have come to expect from a good Germanium Fuzz Face. 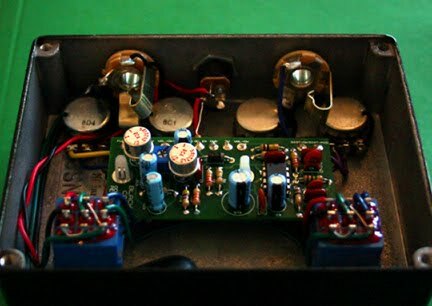 It also meshes amazingly well with the OD-1 side of the OD-Fuzz. The Black Cat Germanium OD-Fuzz ($225) is just the thing for those who like their fuzz warm and woolly. While the standard Black Cat OD-Fuzz ($210) still uses NOS Philips BC108 transistors, for those who prefer their fuzz with a silicon sizzle. 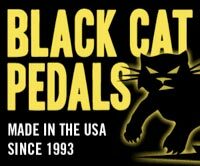 For more information, check out www.blackcatpedals.com. I just came all over my own junk. Just got mine last night. So many gnarly tones possible blending the Fuzz with the OD. I love it! AB'ed it against a half dozen boutiques fuzzes and OD's and the Black Cat was the clear winner.